First and foremost, I am a mother of two amazing girls and wife to a loving man with a very busy schedule. When I'm not attending to their needs, I try to devote my spare time to my other passions: fashion, music, design, travelling, cooking and fine dining - in short, alI of the other simple (and not so simple) pleasures in life! I understand what it means to be a mom and the need to find an escape (once in while) from the world of lululemon, carpools and lunches on the go to the world of high fashion, exotic travel and fine dinning. That said, the objective of my blog's is to appeal to and be representative of the life of a young modern women with a family with (admittedly) a penchant for the finer things in life - so expect a bit of both! I hope this blog will serve you as a useful tool to find your pleasure in whatever world you happen to be in. In addition to my latest discoveries, I've enlisted the help of my friends in different parts of the world to contribute to my blog - thanks guys! I sincerely hope you enjoy reading my blog as much as I had sharing its contents with you! 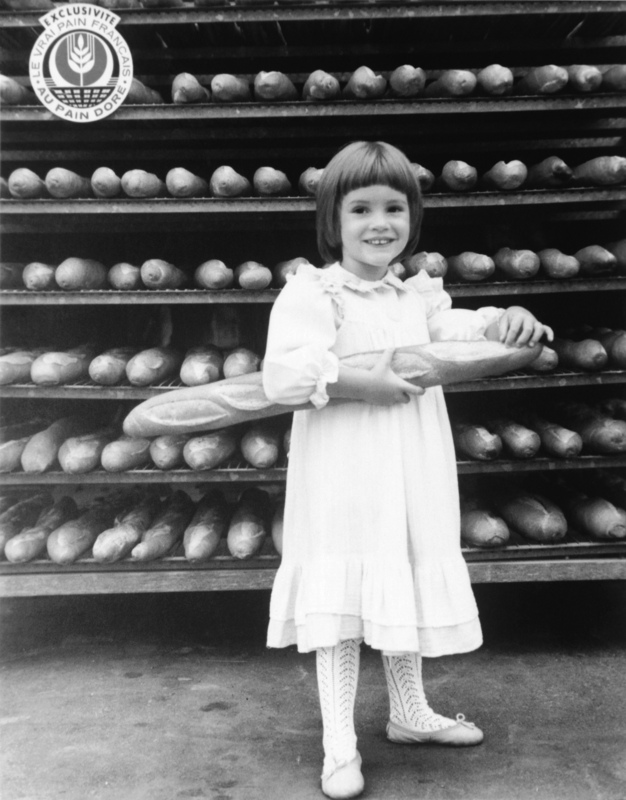 -The daughter of a baker, I grew up with Boulangerie Au Pain Doré, which was owned by my family from 1956 to 2008. Three generations of the Etienne family worked there! - A lot of people know me under the name of “Julie Pain Doré”, and for a pretty long time many were convinced it was genuinely my last name! -I've never had long hair. As a child, my mom used to continuously cut them. She believed in the old wives tale that cutting your hair would make it thicker! That's why I have three hairdressers. -I'm a chameleon when it comes to accents. I can switch from Parisian to pure Quebecois in a flash! I am however still working on my english accent, lol! - I have a college diploma in dance, and trained in classical ballet for 15 years. - For four years, I was a cheerleader for the Montreal Alouettes. - When it comes to fashion, I can mix Saint-Laurent and Céline with H&M and Zara. - I’m crazy about high heels. It helps a lot when you’re five foot three! - Who makes me laugh the most? My father! - I'm addicted to the gym. It’s a big part of my life, and I need it as much physically as morally. Yoga, Pilates, spinning, Xtend Barre, Xtreme Circuit... I try to do something different every day. - I consume approximately 40 citruses a week for my daily dose of homemade lemonade. I also use them in my morning shake and dressings. - Coconut oil is essential to my survival. I use it everywhere! In my shake and as cooking oil, in my bath to hydrate my skin and as a treatment for my hair. - I’ve never seen a day without green tea or a piece of dark chocolate. -My singing shatters glass but I don't care! I belt out songs in my car and quite enjoy myself. Even when I don't know the words, I simply make them up and they sound the same. Almost. - My most exotic travel destination? The Maldives! - My favorite flowers? Tulips, orchids, peonies and callas. - A good glass of red wine really relaxes me. It makes me appreciate the present moment. - A song can really change my mood in a second. - Music is a passion I share with my husband. That’s what sparked the fire at the beginning of our romance.